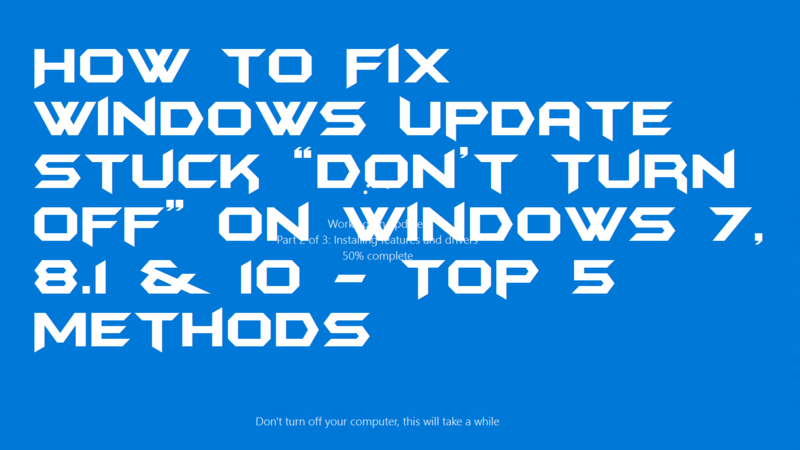 Hello friends, Today I will tell you method on how to fix Windows update stuck. I will share 5 methods to fix all error with Windows PC/Laptop shutdown. Users can fix error related to Windows 10 update stuck at 0 or 99%. All these methods are inbuilt and the user can fix Windows Update stuck. These methods will work on Windows 7, 8, 8.1 and 10. When a Windows user tries to update their Windows, then he/she faces some difficulty while doing it. Windows get stuck on the update page. Though, it causes Windows update stuck problem. Some of the Windows users want to get rid of the Windows update stuck problem. So, that is why I have shared some best ways to fix the Windows update stuck issue from a Windows PC/Laptop. These mentioned are different from each other so that you can use other listed methods if one is not working for you. Let us start the guide from below and check out the methods. Restarting Windows PC means it will reboot the whole system. And it will start from the beginning to show the normal user interface to the user’s screen. However, a user can start the update again after doing the restart task. But, the thing is that the update will start from that place where a user has left it from. When you will get the Windows update stuck problem on your Windows PC screen. Then, press Ctrl+Alt+Delete button at the same time to get the restart option and use it to reboot your entire system. Once the reboot is done then try to update the version again and possibly this will solve the Windows update stuck issue. Installing the Windows operating system again is the best solution but when you are not having any data in your hard disk. However, if you have some data on your hard drive, then you can take a backup of it on an external hard disk. Well, if you do not have any external hard disk as well then don’t worry and borrow it from your friends. If you are reading this method to solve Windows update stuck problem. Then I hope you know that how you have to re-install the Windows OS on your Windows PC. But, if you don’t know. Then take your PC to the computer repair shop it will charge a nominal fee after that your PC will get a new face. Sometimes it happens that we think we have faced Windows update stuck problem in our Windows PC. But, after sometimes we found that the problem was not this it was that. So, it is very much important that you first check it the Windows update stuck issue on your Windows PC or not. Majority of the time Windows take much longer to update the version, so we think that our Windows update got stuck. But, it’s not. Though, have patience and let it work. It is taking longer than usual though uses some way to solve the problem. What happens sometimes is that Antivirus thinks the Windows update has malware or trojans. So, it does not allow the operating system to let it update and gives us the Windows update stuck problem. So, I would like to advise you that before you do the Windows update make sure you have turned your antivirus switch off. Otherwise, it will stop you and your PC to get onto the next step. 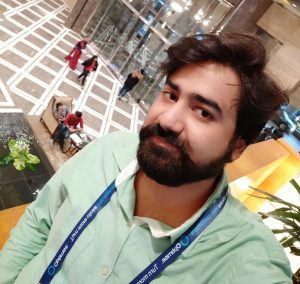 This is the last methods which you can try if all the ways didn’t work for you. A Windows user can take the help of inbuilt troubleshooter to solve the Windows update stuck issue. To use it you have to go to your user screen and then use it from the control panel. To let you know that what is the exact problem is your PC is facing in updating. Once you have got the problem, then you can fix it quickly. We have seen some methods that how we can fix the Windows update stuck problem from our Windows PC/Laptop. After reading these methods one by one now you have got an idea that how the Windows update stuck issue can be fixed on a Windows PC. Also, there are several methods which are listed in this article. So, you can take help of some else methods as well if a particular way didn’t work in your case. I hope this article found to be helpful for you in fixing the Windows update stuck issue. Make sure you must share this article with those friends who are facing the same issue that is Windows update stuck on their Windows PC/Laptop.